The Biggest Threat to ISIS Ideology? It’s Not What You Think. 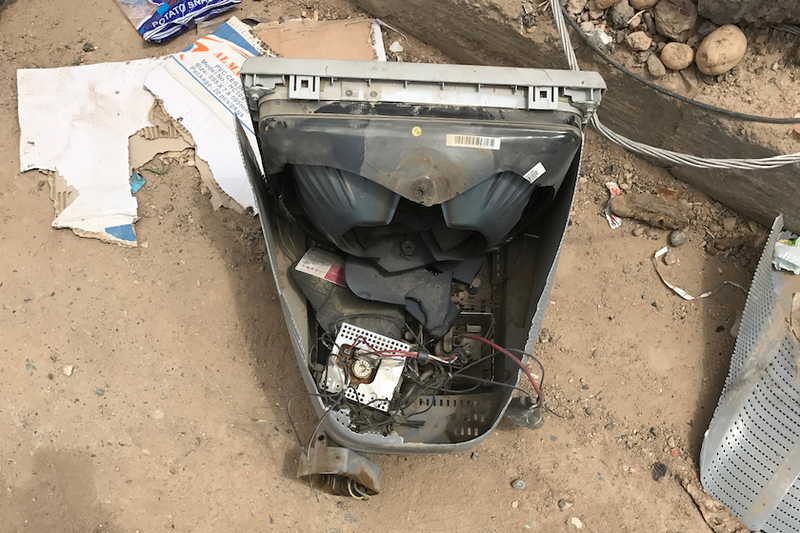 There’s a reason ISIS destroys TVs like this one that I saw on the streets of Mosul. There’s a reason they ban cell phones. There’s a reason they go house to house searching for satellite dishes, radios, or any other means of contact with the outside world. In cities like Raqqa, ISIS’s de facto capital in Syria, punishments for being caught with a phone include public whipping and having your hand cut off. It seems the more territory ISIS loses, the more paranoid they become. ISIS knows that it’s easier to vilify someone if you don’t know them. It’s easier to stoke fear if you keep your “enemy” at arm’s length. That’s how you control the narrative. That’s how you sell a caricature of “the other” so you can hold onto power and keep people in check. This is precisely why now is the most important moment in Mosul. ISIS no longer holds territory in this city, but their presence is still felt. It casts a long shadow over those who stayed through the battle, who braved bullets and bombs—either by choice or because they were being held as human shields. We’ve heard this refrain from more than one soldier as we’ve made our way into some of the most underserved neighborhoods in Mosul. The assumption being that if people stayed this long, there can only be one reason. It’s the same tactic that ISIS uses to demonize the outside world, now being used against those who survived their rule over Mosul. It’s the same tactic we use when we demonize those we disagree with politically, or those of a different race or orientation, or those of a different nationality who are simply trying to find refuge in our own country. This is why we need to keep showing up with love—even before we’re entirely sure we love the people we’re showing up for. This is how we learn to love. This is why we need to shine light into the dark corners of their broken communities and our own hearts. Lean in and love anyway in the hardest places.